There is something about stories of missing people that just grabs my imagination. I want the answers! Of course, many times, there are no answers, just conjecture and more questions. No doubt a part of it is that most of these people were explorers, or finders of wild places. I am curious about them--what makes them tick? How would it be? I am not an explorer by any stretch. I enjoy being comfortable; I appreciate indoor plumbing, cooked food, and soft beds. I start to get a little nervous if we go too far off the beaten path when we're hiking or camping. I feel brave visiting the porta-potty at the edge of the campground, armed only with a heavy flashlight. So clearly, I'm practically a different species from these sorts who go off into the wilderness without looking back. No doubt that adds to my fascination with them. As I went looking for books that fit this mini-theme, I was a bit surprised to see how many I've read over the past few years. The one that sparked the list was The Last Season, by Eric Blehm, reviewed below. It was great! If you're into this type of nonfiction, I recommend it. Everett Ruess was a bit of a vagabond. He was happiest when he was out in the wilds of the southwestern United States, by himself. He wrote about his experiences and how they were changing him. He also wrote to his parents to ask for money--often. Until he didn't. In November of 1934 Ruess disappeared, leaving behind a campsite, reams of writing, and an enduring mystery. He was just 20 years old. 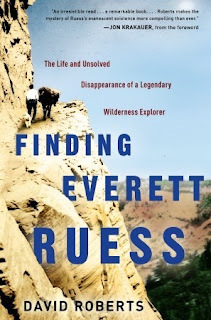 Roberts gives a thorough biography of Ruess up to his disappearance. He also goes into detail about the efforts to discover what truly became of him. Actually, the detective work done in an effort to solve the mystery was the most interesting part for me. 4 stars: Fascinating portrait of 2 men adventuring into Africa and the times they lived in. 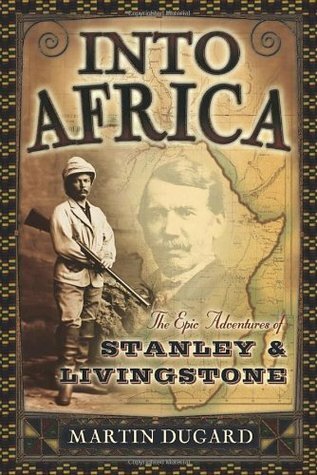 Dr. Livingston was so focused on proving his theory about the source of the Nile that he went into the heart of Africa and just stayed. Not by choice, after a few years, though. He was sick, impoverished, and alone. Enter Stanley, a young journalist who was sent to find the good doctor and bring back the story--or else. A sweeping view of the times, the men, who and what they left behind, and what happened next. Extensively researched and yet written in a way that brings the story to life beyond reams of details. 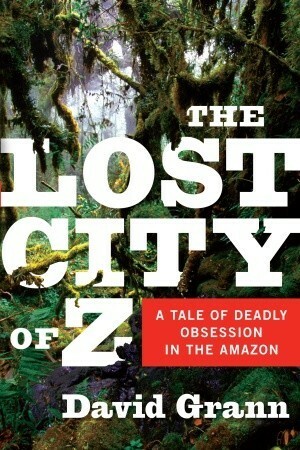 Because of this book, I decided to give Heart of Darkness one more try. Spoiler alert: I liked this one better! 4 stars: Compelling mystery; very well-written. 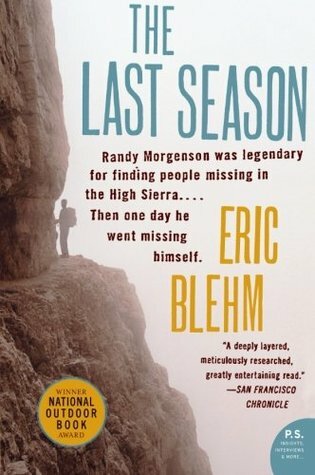 Randy Morgensen was a seasonal park ranger in the Sierra Nevadas for nearly 3 decades. He was a man who cared deeply and passionately about protecting the land, or as his job mandate went: protect the land from the people, the people from the land, and the people from the people. When it came to assisting injured or sick hikers and backpackers, he was calm, courteous, skilled, and very knowledgeable. He had almost a sixth sense about where to find lost people, based on his knowledge of the land. He loved the mountains and never felt happier or more at peace than when he was living up there. One summer day in 1996 he missed a radio check-in. Not too ominous, as there were many reasons it could have happened. However, as the hours turned in to days, it became obvious that something had gone wrong. Badly wrong. The Search and Rescue was made even more difficult because the other rangers were all his friends--they were searching for one of their own. "Enjoy" doesn't seem the right word to use when it's a book about someone's disappearance. It was an engrossing portrait of a modern mountain man, and what may have led to his fatal mistake. (By the way, the photos in the middle include some spoilers, so don't look at those until the end, if you can help it.) It's also a love letter to the few remaining wild places on our planet; what they can do for the soul and what we ought to be doing to preserve them. 4 stars: I couldn't put it down! Grann recounts the story of Colonel Percy Fawcett, the famous explorer of the Amazon, who became obsessed with finding El Dorado--the legendary City of Gold--in the unexplored Amazon jungle. On his previous expeditions, Fawcett had experienced everything from starvation, to disease, to hostile natives, to fellow explorers going mad, and somehow managed to survive to tell about it. Then in 1925, Fawcett, his son, and his son's best friend left on a highly advertised expedition, completely certain that they would find El Dorado at last...and never returned. As months turned into years, the lost explorers became more of a draw than the fabulous city they were looking for. Everyone seemed to have a different theory, or a new lead, including some of the native people in the areas where the explorers were last heard from. Numerous expeditions set out to retrace Fawcett's steps, only to (mostly) end in tragedy. Much to his own surprise, Grann's research eventually leads him into the jungle as well. What he finds there (and doesn't find) is fascinating in its own right--and sheds some light on the enduring Fawcett mystery. Narrative nonfiction at its best! A fine mixture of history, biography, anthropology, and the author's own discoveries. 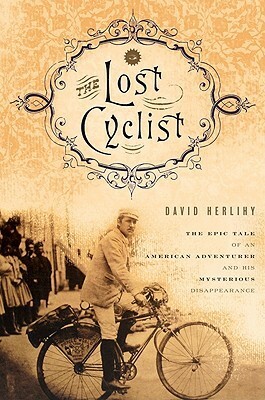 2 stars: Interesting to learn more about the early days of cycling. The around-the-world trips of both Sachtleben and Lenz were recounted stop by stop, which got to be skim-worthy at times. The story of cyclist Frank Lenz, who disappeared in Turkey during an around-the-world cycling trip. It also recounts the efforts of fellow cyclist, William Sachtleben, to find out what happened and bring Lenz's murderers to justice. Unlike some missing persons stories, there is a general consensus about what happened to Lenz, with quite a bit of testimony and evidence supporting it. I didn't envy Sachtleben's mission to discover what he could of the truth. 3 stars: I don't remember much about it, except I know that I liked it! 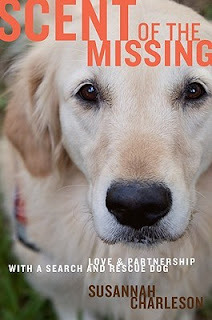 Charleson shares the joy and heartbreak of working as a team with a search-and-rescue dog. You know, what I really want to find is a good book about Amelia Earhart's life and disappearance. Do you know of one? Are you an explorer at heart or a home-body like me? Let me know if you read any of these!